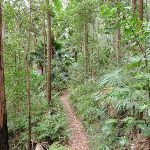 Veer right: From the intersection, the walk follows the ‘Cabbage Tree Trail’ arrow along the bush track, going up the hill. 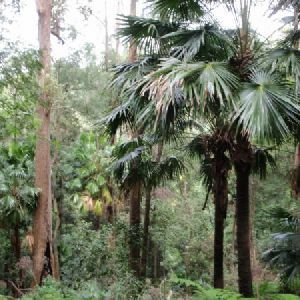 This section of the walk passes through forest filled with cabbage palms and ferns. 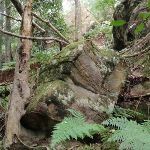 The walk also passes some interesting boulders, before reaching an intersection, signposted ‘Strickland Falls Trail’. 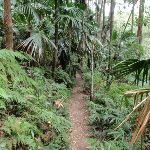 Turn right: Fromt the intersection, the walk follows the ‘walker arrow’ along the bush track, going up the hill. 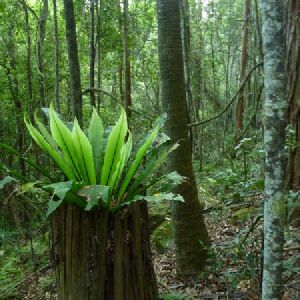 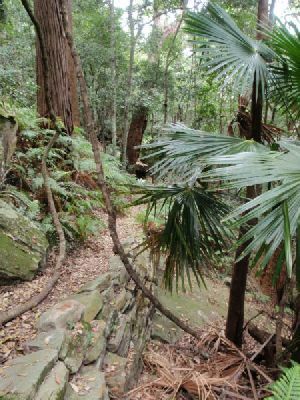 The vegetation on this section of the walk changes from moist forest, filled with ferns and cabbage palms, to relatively dry forest to as the track climbs. 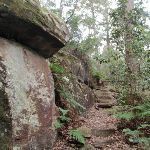 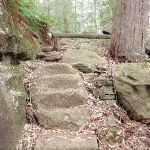 The track climbs, using steps cut into the rock in places, before passing the ‘Gosford Lookout’ rock platform, to the right. 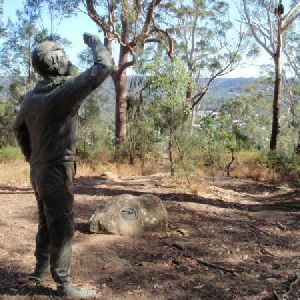 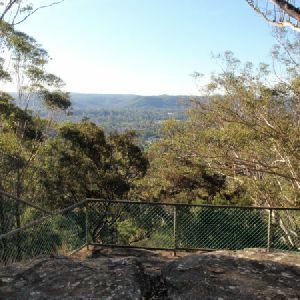 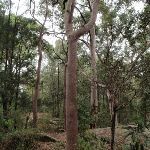 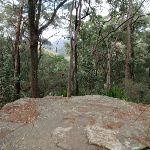 At this lookout point, the track bends to the left, passes a ‘Gosford Lookout’ signpost and immediately arrives at the intersection at the end of the Banksia picnic area. 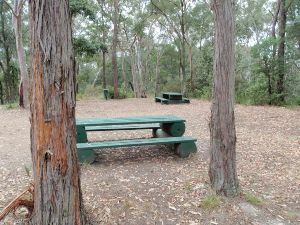 Turn left: From the intersection, this walk goes across the picnic area, and passes around the gate, into the car park (near the end of Strickland Rd in the Strickland State Forest). 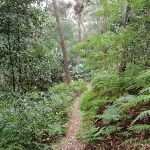 1.1km of this walk has gentle hills with occasional steps and another 510m has short steep hills. 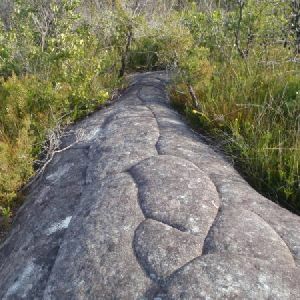 The remaining (95m) is flat with no steps. 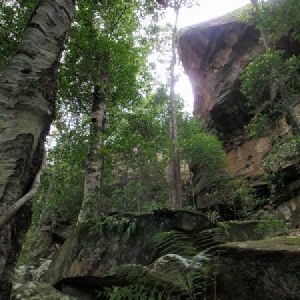 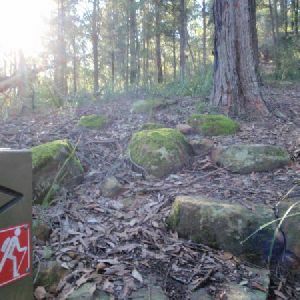 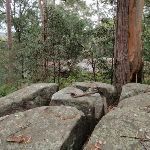 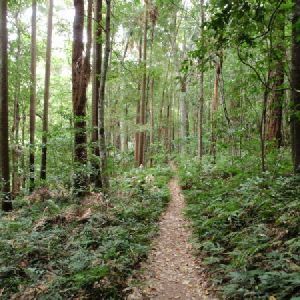 Around 1.2km of this walk requires no previous bushwalking experience, whilst the remaining 510m requires some bushwalking experience. 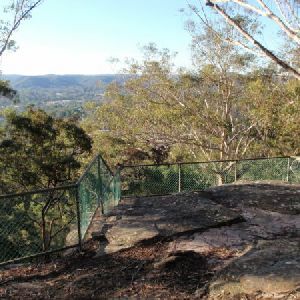 Around 1.5km of this walk has limited facilities (such as not all cliffs fenced), whilst the remaining 270m is close to useful facilities (such as fenced cliffs and seats). 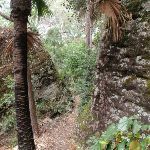 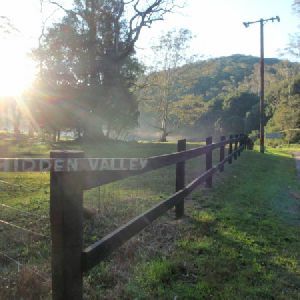 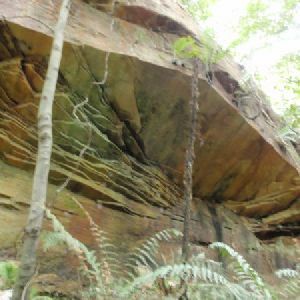 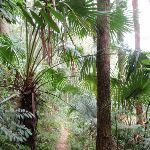 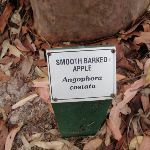 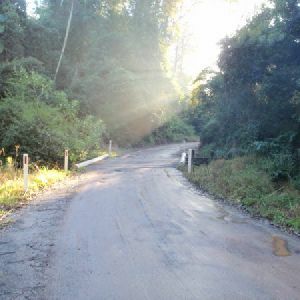 A list of walks that share part of the track with the Cabbage Tree Trail walk. 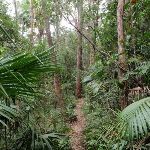 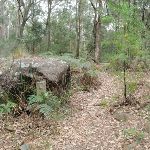 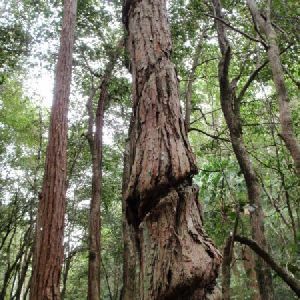 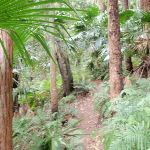 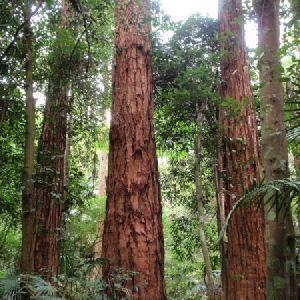 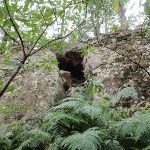 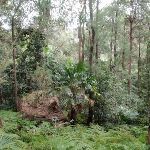 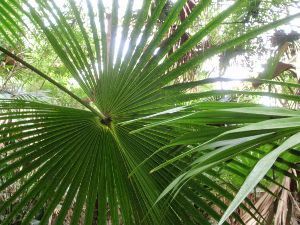 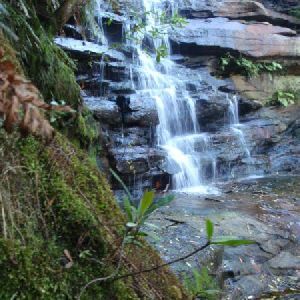 A list of walks that start near the Cabbage Tree Trail walk. 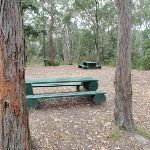 http://new.wildwalks.com/wildwalks_custom/includes/walk_fire_danger.php?walkid=nsw-stricklandsf-ctt Each park may have its own fire ban, this rating is only valid for today and is based on information from the RFS Please check the RFS Website for more information.